VANCOUVER, B.C. – February 4, 2013 – Home buyer demand remains below historical averages in the Greater Vancouver housing market. This has led some home sellers to remove their homes from the market in recent months. Click here for the full 9 page pdf report. The Real Estate Board of Greater Vancouver (REBGV) reports that residential property sales in Greater Vancouver reached 1,351 on the Multiple Listing Service® (MLS®) in January 2013. This represents a 14.3 per cent decrease compared to the 1,577 sales recorded in January 2012, and an 18.3 per cent increase compared to the 1,142 sales in December 2012. Last month’s sales were the second lowest January total in the region since 2001 and 18.7 per cent below the 10-year sales average for the month. “Home sale activity has been below historical averages in Greater Vancouver for about seven months. This has caused a gradual decline in home prices of about 6 per cent since reaching a peak last spring,” Klein said. settle for a price they don’t want,” Eugen Klein, REBGV president said. New listings for detached, attached and apartment properties in Greater Vancouver totalled 5,128 in January. This represents a 10.9 per cent decline compared to the 5,756 new listings reported in January 2012. Last month’s new listing count was 18.9 per cent higher than the region’s 10-year new listing average for the month. The total number of properties currently listed for sale on the Greater Vancouver MLS® is 13,246, a 5.6 per cent increase compared to January 2012 and a 4.5 per cent decline compared to December 2012. This is the fourth consecutive month that overall home listings have declined in the region. “When a home seller isn’t receiving the kind of offers they want, there comes a point when they decide to either lower the price or remove the home from the market. Right now, it seems many home sellers are opting for the latter,” Klein said. With the sales-to-active-listings ratio at 10.2 per cent, the region remains in buyers’ market territory. Since June, this ratio has ranged between 8 and 11 per cent. Sales of detached properties in January 2013 reached 542, a decrease of 17.8 per cent from the 659 detached sales recorded in January 2012, and a 31.7 per cent decrease from the 793 units sold in January 2011. The benchmark price for detached properties decreased 3.1 per cent from January 2012 to $901,000. Since reaching a peak in May 2012, the benchmark price of a detached property has declined 6.9 per cent. Sales of apartment properties reached 576 in January 2013, a decline of 12.3 per cent compared to the 657 sales in January 2012, and a decrease of 19.2 per cent compared to the 713 sales in January 2011. The benchmark price of an apartment property decreased 2.9 per cent from January 2012 to $358,400. Since reaching a peak in May 2012, the benchmark price of an apartment property has declined 5.6 per cent. Attached property sales in January 2013 totalled 233, a decline of 10.7 per cent compared to the 261 sales in January 2012, and a 25.6 per cent decrease from the 313 attached properties sold in January 2011. The benchmark price of an attached unit decreased 1.7 per cent between January 2012 and 2013 to $449,900. Since reaching a peak in April 2012, the benchmark price of an attached property has declined 7.7 per cent. REALTORS® and their companies. The Board provides a variety of member services, including the Multiple Listing Service®. For more information on real estate, statistics, and buying or selling a home, contact a local REALTOR® or visit www.rebgv.org. VANCOUVER, B.C. – January 3, 2013 – The Greater Vancouver housing market experienced below average home sale totals, typical home listing activity and modest declines in home prices in 2012. December sales were 38.4 per cent below the 10-year December sales average of 1,855. Since reaching a peak in May of $625,100, the MLS® Home Price Index composite benchmark price for all residential properties in Greater Vancouver has declined 5.8 per cent to $590,800. This represents a 2.3 per cent decline when compared to this time last year. “We saw home prices come down a bit during the latter half of the year. During the same period, we saw fewer home sales and listings,” Klein said. Vancouver, B.C. – December 4, 2012 – Over the past six months, the Greater Vancouver housing market has seen a reduction in the number of homes listed for sale, a gradual moderation in home prices and a decrease in property sales compared to historical averages. Click here to view the full stats package. The Real Estate Board of Greater Vancouver (REBGV) reports that residential property sales of detached, attached and apartment properties reached 1,686 on the region’s Multiple Listing Service® (MLS®) in November, a 28.6 per cent decline compared to the 2,360 sales in November 2011 and a 12.7 per cent decline compared to the 1,931 home sales in October 2012. November sales were 30.3 per cent below the 10-year November sales average of 2,420. “Home sellers appear more inclined to remove their properties from the market today rather than lower prices to sell their properties. On the other hand, buyers appear to be expecting prices to moderate,” Eugen Klein, REBGV president said. New listings for detached, attached and apartment properties in Greater Vancouver totalled 2,758 in November. This represents a 14.4 per cent decline compared to November 2011 when 3,222 properties were listed for sale on the MLS® and a 36.2 per cent decline compared to the 4,323 new listings in October 2012. Since reaching a peak in May of $625,100, the MLS® Home Price Index composite benchmark price for all residential properties in Greater Vancouver has declined 4.5 per cent to $596,900. This represents a 1.7 per cent decline when we compared to this time last year. Sales of detached properties in Greater Vancouver reached 629 in November, a decrease of 31.3 per cent from the 916 detached sales recorded in November 2011, and a 40.1 per cent decrease from the 1,050 units sold in November 2010. Since reaching a peak in May, the benchmark price for a detached property in Greater Vancouver has declined 5.5 per cent to $914,500. Sales of apartment properties reached 750 in November 2012, a 25 per cent decrease compared to the 1,000 sales in November 2011, and a decrease of 28.7 per cent compared to the 1,052 sales in November 2010. Since reaching a peak in May, the benchmark price for an apartment property in Greater Vancouver has declined 3.9 per cent to $364,900. Attached property sales in November 2012 totalled 307, a 30.9 per cent decrease compared to the 444 sales in November 2011, and a 24.6 per cent decrease from the 407 attached properties sold in November 2010. Since reaching a peak in April, the benchmark price for an attached property in Greater Vancouver has declined 3.6 per cent to $454,300. • Of the 15,689 homes currently for sale on the MLS® in Greater Vancouver, 49.6 per cent are listed for $600,000 or less. Of those, 1,321 are detached properties, 5,039 are condominiums and 1,419 are townhomes. • Of the 1,686 homes that sold in Greater Vancouver in November, 273 (16%) sold for $1 million or more. Vancouver, B.C. – November 2, 2012 – The Greater Vancouver housing market saw a slight increase in the number of home sales, a slight reduction in the number of listings, and a slight decrease in home prices in October compared to the summer months. With those changes, the sales-to-active-listings ratio increased to 11 per cent in October from 8 per cent in September. The Real Estate Board of Greater Vancouver (REBGV) reported 1,931 residential property sales of detached, attached and apartment properties on the region’s Multiple Listing Service® (MLS®) in October, a 16.7 per cent decline compared to the 2,317 sales in October 2011 and a 27.4 per cent increase compared to the 1,516 home sales in September 2012. October sales were 28.5 per cent below the 10-year October sales average of 2,700. New listings for detached, attached and apartment properties in Greater Vancouver totalled 4,323 in October. This represents a 1.2 per cent decline compared to October 2011 when 4,374 properties were listed for sale on the MLS® and an 18.8 per cent decline compared to the 5,321 new listings in September 2012. At 17,370, the total number of residential property listings on the MLS® increased 12 per cent from this time last year and declined 5.3 per cent compared to September 2012. Since reaching a peak of $625,100 in May, the MLS Home Price Index® (MLS HPI®) composite benchmark price for all residential properties in Greater Vancouver declined 3.4 per cent to $603,800 in October. This represents a 0.8 per cent decline compared to last year. “There’ve been modest price changes since they peaked in the spring. The largest reductions have occurred in the areas and property types that experienced the biggest price increases over the last few years,” Wyant said. Since hitting a record high in April, the benchmark price of a detached home on the Westside of Vancouver has declined 8.6 per cent while detached homes in Richmond and West Vancouver have seen declines of 6 per cent over the same time period. Sales of detached properties in Greater Vancouver reached 790 in October, a decrease of 18.9 per cent from the 974 detached sales recorded in October 2011, and a 19.1 per cent decrease from the 976 units sold in October 2010. Since reaching a peak in May, the benchmark price for a detached property in Greater Vancouver has declined 4.1 per cent to $927,500. Sales of apartment properties reached 803 in October 2012, a 16.2 per cent decrease compared to the 958 sales in October 2011, and a decrease of 18.4 per cent compared to the 984 sales in October 2010. Since reaching a peak in May, the benchmark price for an apartment property in Greater Vancouver has declined 2.9 per cent to $368,800. Attached property sales in October 2012 totalled 338, an 11.5 per cent decrease compared to the 382 sales in October 2011, and a 10.3 per cent decrease from the 377 attached properties sold in October 2010. Since reaching a peak in April, the benchmark price for an attached property in Greater Vancouver has declined 2.9 per cent to $457,700. VANCOUVER, B.C. – October 2, 2012 – The summer of 2012 drew to a close in September with home sale activity well below historical averages in the Greater Vancouver housing market. Click here for the complete 8 page report. New listings for detached, attached and apartment properties in Greater Vancouver totalled 5,321 in September. This represents a 6.3 per cent decline compared to September 2011 when 5,680 properties were listed for sale on the MLS® and a 31.6 per cent increase compared to the 4,044 new listings in August 2012. At 18,350, the total number of residential property listings on the MLS® increased 14.1 per cent from this time last year and increased 4.5 per cent compared to August 2012. “Today, our sales-to-active-listings ratio sits at 8 per cent, which puts us in a buyer’s market. This ratio has been declining in our market since March when it was 19 per cent,” Klein said. The MLS HPI® composite benchmark price for all residential properties in Greater Vancouver is $606,100. This represents a decline of 0.8 per cent compared to this time last year and a decline of 2.3 per cent over last three months. “Prices in the region remain relatively stable overall, although we do see some reductions in the areas that have had some of the largest price increases over the last year or two,” Klein said. Sales of detached properties on the MLS® in September 2012 reached 594, a decrease of 37.9 per cent from the 957 detached sales recorded in September 2011, and a 31.4 per cent decrease from the 866 units sold in September 2010. The benchmark price for detached properties decreased 0.5 per cent from September 2011 to $935,600. Sales of apartment properties reached 676 in September 2012, a 26.7 per cent decrease compared to the 922 sales in September 2011, and a decrease of 30.4 per cent compared to the 971 sales in September 2010. The benchmark price of an apartment property decreased 0.7 per cent from September 2011 to $368,600. Attached property sales in September 2012 totalled 246, a 33 per cent decrease compared to the 367 sales in September 2011, and a 35.8 per cent decrease from the 383 attached properties sold in September 2010. The benchmark price of an attached unit decreased 2.7 per cent between September 2011 and 2012 to $458,600. VANCOUVER, B.C. – September 5, 2012 – Home sale activity remained below long-term averages in the Greater Vancouver housing market in August. Click here for the complete 8 page report. The Real Estate Board of Greater Vancouver (REBGV) reports that residential property sales of detached, attached and apartment properties reached 1,649 in August, a 30.7 per cent decline compared to the 2,378 sales in August 2011 and a 21.4 per cent decline compared to the 2,098 sales in July 2012. August sales were the second lowest total for the month in the region since 1998 and 39.2 per cent below the 10-year August sales average of 2,711. “Home sales this summer have been lower than we’ve seen for most of the past ten years, yet we continue to see relative stability when it comes to prices,” Eugen Klein, REBGV president said. At 17,567, the total number of residential property listings on the MLS® increased 13.8 per cent from this time last year and declined 2.8 per cent compared to July 2012. “Today, our sales-to-active-listings ratio sits at 9 per cent, which puts us in a buyer’s market. This ratio has been declining in our market since March when it was 19 per cent,” Klein said. The MLSLink® Housing Price Index (HPI) composite benchmark price for all residential properties in Greater Vancouver is $609,500. This represents a decline of 0.5% compared to this time last year and a decline of 1.1% compared to last month. Sales of detached properties on the MLS® in August 2012 reached 624, a decrease of 38.8 per cent from the 1,020 detached sales recorded in August 2011, and a 30.1 per cent decrease from the 893 units sold in August 2010. The benchmark price for detached properties increased 0.2 per cent from August 2011 to $942,100. Sales of apartment properties reached 725 in August 2012, a 24.1 per cent decrease compared to the 955 sales in August 2011, and a decrease of 22.5 per cent compared to the 935 sales in August 2010. The benchmark price of an apartment property decreased 0.9 per cent from August 2011 to $370,100. Attached property sales in August 2012 totalled 300, a 25.6 per cent decrease compared to the 403 sales in August 2011, and a 19.8 per cent decrease from the 374 attached properties sold in August 2010. The benchmark price of an attached unit decreased 1.9 per cent between August 2011 and 2012 to $462,300. VANCOUVER, B.C. – August 2, 2012 – Residential property sales in Greater Vancouver remained at a 10-year low in July, while the number of properties being listed for sale continued to edge down and prices remained relatively stable. The Real Estate Board of Greater Vancouver (REBGV) reports that there were 2,098 residential property sales of detached, attached and apartment properties in July. That’s an 18.4 per cent decline compared to the 2,571 sales in July 2011 and an 11.2 per cent decline compared to the previous month’s 2,362 sales. July sales were the lowest total for that month in the region since 2000. They were 31.2 per cent below the 10-year July sales average of 3,051. “People appear to be cautious about making significant financial decisions right now. While our local economy appears to be quite robust, there may be some concern about the impact of international markets and the federal government’s tightening of mortgage regulations,” says Eugen Klein, REBGV president. New listings for detached, attached and apartment properties in Greater Vancouver totalled 4,802 in July, the lowest number of new listings for any month this year. This represents a 5.8 per cent decline compared to July 2011 when 5,097 properties were newly listed for sale on the Multiple Listing Service® (MLS®) and a 14.5 per cent decline compared to the 5,617 new listings reported in June 2012. The MLS® Home Price Index (MLS® HPI) composite benchmark price for all residential properties in Greater Vancouver over the last 12 months has increased 0.6% to $616,000 and declined 0.7% compared to last month. Sales of detached properties on the MLS® in July 2012 reached 787, a decrease of 28.4 per cent from the 1,099 detached sales recorded in July 2011, and a 13.3 per cent decrease from the 908 units sold in July 2010. The benchmark price for detached properties increased 1.4 per cent from July 2011 to $950,200 and declined 1.2 per cent compared to last month. Sales of apartment properties reached 927 in July 2012, a 10.9 per cent decrease compared to the 1,040 sales in July 2011, and a decrease of 5.3 per cent compared to the 979 sales in July 2010. The benchmark price of an apartment property remains unchanged compared to July 2011 at $374,300 and declined 0.5 per cent compared to last month. Attached property sales in July 2012 totalled 384, an 11.1 per cent decrease compared to the 432 sales in July 2011, and a 4.3 per cent increase from the 368 attached properties sold in July 2010. The benchmark price of an attached unit decreased 0.5 per cent between July 2011 and 2012 to $468,700 and is relatively unchanged compared to last month. VANCOUVER, B.C. – July 4, 2012 – The number of residential property sales hit a 10-year low in Greater Vancouver for June, while prices remained relatively stable. Read full stats package in pdf format by clicking here. while home listing activity outpaced what’s typical for the month. 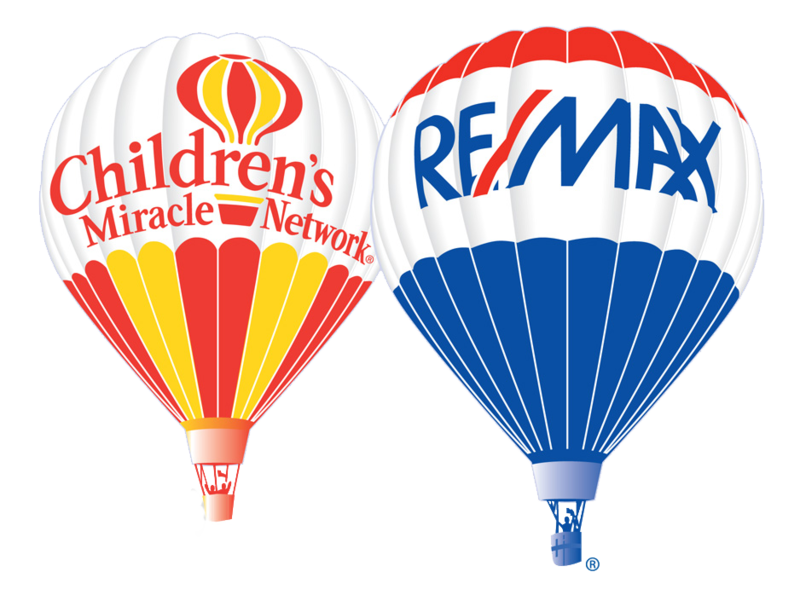 reached 2,874 on the Multiple Listing Service® (MLS®) in March 2012. This represents a 12.9 per cent increase compared to the 2,545 sales recorded in February 2012, a decline of 29.6 per cent compared to the 4,080 sales in March 2011 and an 8.4 per cent decline compared to the 3,137 home sales in March 2010.
per cent below the 10-year sales average for the month. “Home sellers have been more active than buyers the first few months of the year, but we continue to see a relative balancein the total supply of homes for sale and current demand in the marketplace,” Eugen Klein, REBGV president said. New listings for detached, attached and apartment properties in Greater Vancouver totalled 5,843 in March 2012.
compared to March 2011 when 6,797 homes were listed for sale on the region’s MLS®. Last month’s new listing total was 4.5 per cent above the 10-year average for listings in Greater Vancouver for March. to last month and increased 16 per cent from this time last year. means there’s more selection to choose from as we enter what’s traditionally the busiest season of the year in our market,” Klein said. per cent compared to March 2011 and an increase of 1.1 per cent compared to February 2012. The benchmark price for all residential properties in the Lower Mainland is $607,700, an increase of 4.8 per cent compared to March 2011.
benchmark price for detached properties increased 9.2 per cent from March 2011 to $1,056,400. apartment property increased 2.2 per cent from March 2011 to $375,100. townhome unit increased 0.9 per cent between March 2011 and 2012 to $480,900. greater balance to the Greater Vancouver housing market in February. sales recorded in January 2012, a decline of 17.8 per cent compared to the 3,097 sales in February 2011 and a 2.9 percent increase from the 2,473 home sales in February 2010.
sales below the 10-year average. move into the traditionally busier spring season,” Rosario Setticasi, REBGV president said. New listings for detached, attached and apartment properties in Greater Vancouver totalled 5,552 in February 2012. This represents a 2.5 per cent decline compared to February 2011 when 5,693 properties were listed, and a 3.5 per cent decline compared to January 2012 when 5,756 homes were added to the MLS® in Greater Vancouver. Last month’s new listing count was the second highest February total in Greater Vancouver since 1996. At 14,055, the total number of residential property listings on the MLS® increased 12 per cent in February compared to last month and increased 17.9 per cent from this time last year. for all residential properties in the Lower Mainland is $601,300, an increase of 5.5 per cent compared to February 2011. 1,402 detached sales recorded in February 2011, and a 12 per cent increase from the 983 units sold in February 2010. The benchmark price for detached properties increased 10.5 per cent from February 2011 to $1,042,900. price of an apartment property increased 2.8 per cent from February 2011 to $373,300. price of a townhome unit increased 0.7 per cent between February 2011 and 2012 to $472,800. VANCOUVER, B.C. – February 6, 2012 – Greater Vancouver home sellers were more active than buyers in January and overall home prices, according to the new MLS® Home Price Index (MLS® HPI), continued to experience more stability and less fluctuation compared to the beginning of 2011. The Real Estate Board of Greater Vancouver (REBGV) reports that residential property sales in Greater Vancouver reached 1,577 on the Multiple Listing Service® (MLS®) in January 2012. This represents a 4.9 per cent decrease compared to the 1,658 sales recorded in December 2011, a decrease of 13.3 per cent compared to the 1,819 sales in January 2011 and an 18 per cent decline from the 1,923 home sales in January 2010. January sales in Greater Vancouver were the second lowest January total in the region since 2002, though only 146 sales below the 10-year average. New listings for detached, attached and apartment properties in Greater Vancouver totalled 5,756 in January. This represents a 19.9 per cent increase compared to the 4,801 new listings reported in January 2011, and a 253.3 per cent increase compared to the 1,629 new listings reported in December 2011. Last month’s new listing count was the highest January total in Greater Vancouver since 1995. The total number of properties currently listed for sale on the Greater Vancouver MLS® is 12,544, a 12.5 per cent increase compared to December 2011 and an increase of 20.2 per cent compared to January 2011. The number of residential properties listed for sale on the MLS® in Greater Vancouver increased 2.7 per cent in 2011 to 59,549 compared to the 58,009 properties listed in 2010. Looking back further, last year’s total represents a 12.8 per cent increase compared to the 52,869 residential properties listed in 2009. Last year’s listing total was 11.1 per cent above the ten year average for annual Multiple Listing Service® (MLS®) property listings in the region.